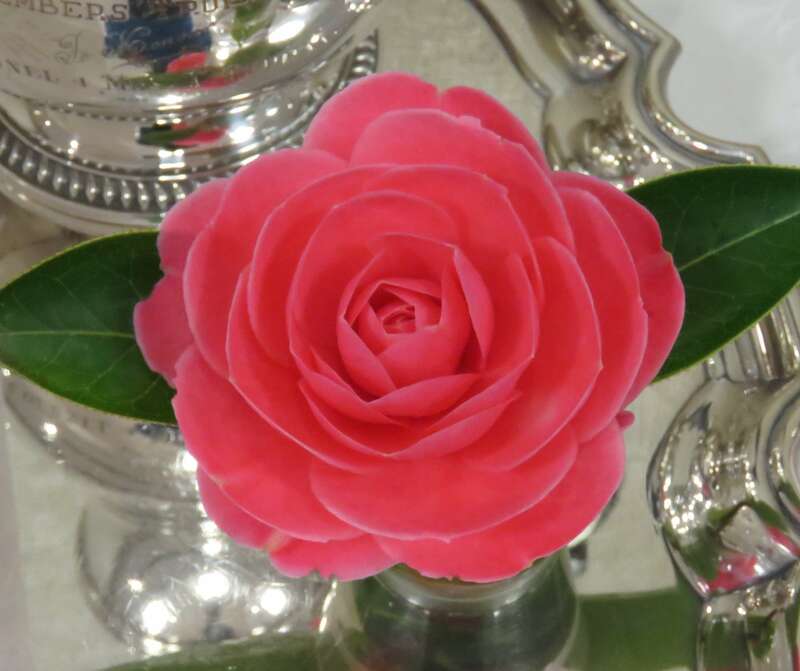 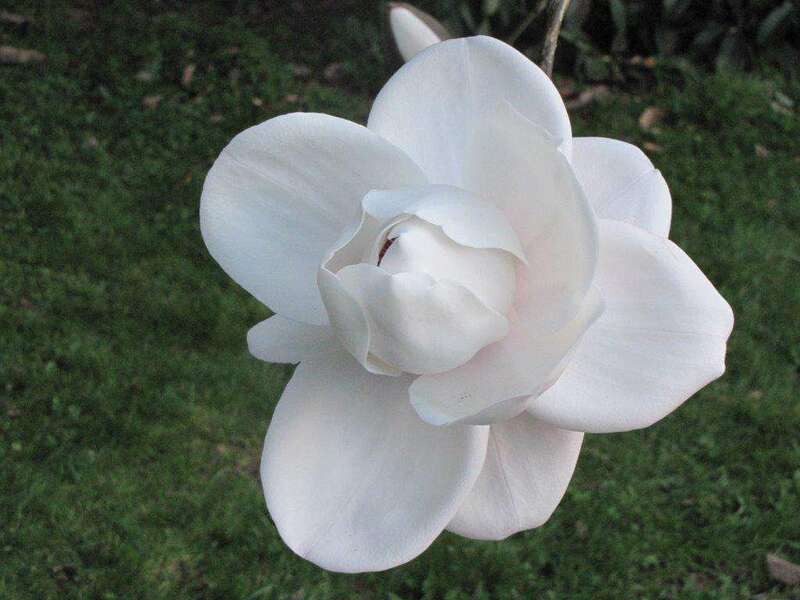 Joe Warsaw, great enthusiast for miniature camellia blooms and Society Secretary for some years, included his wife Bernice's initial on the trophy since she was a great supporter of the camellia scene. 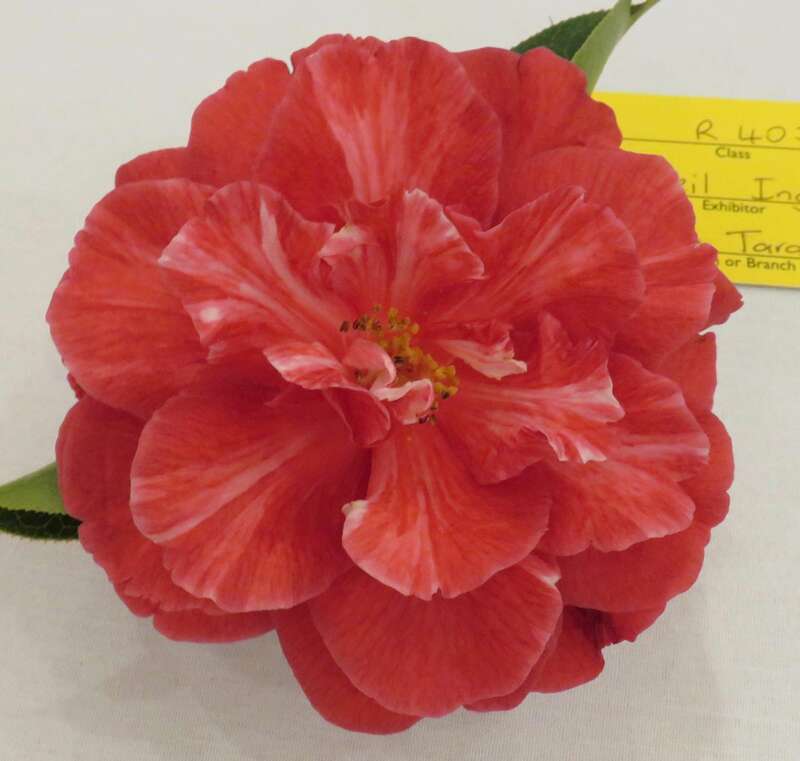 The class for the Warsaw Trophy is for "Hybrids, Three blooms Different Varieties, Miniature or Small". 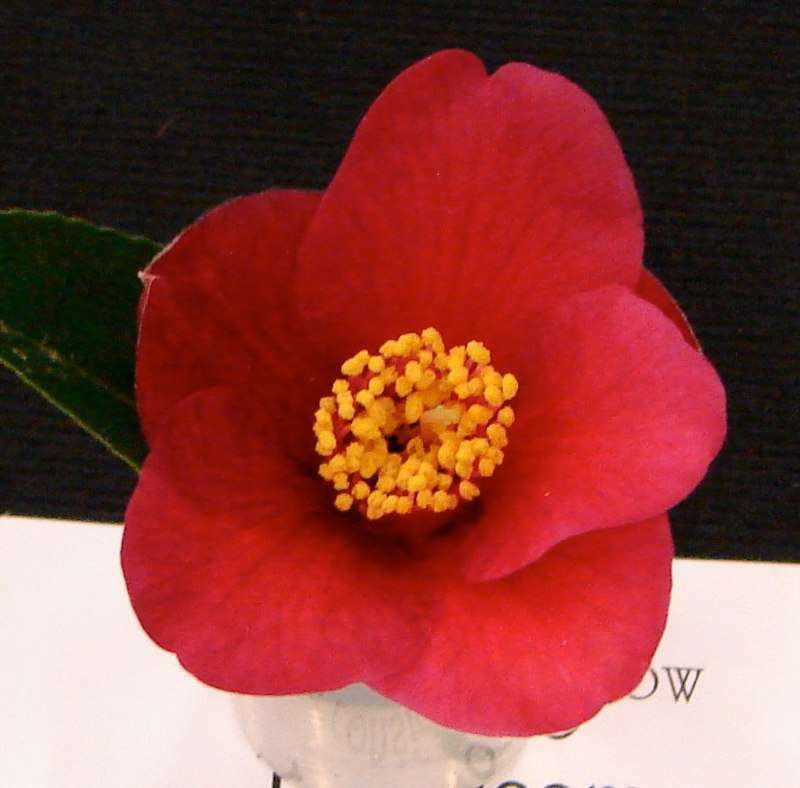 It was first awarded in 1998.